Lattes-Montpellier celebrated a first in their EuroLeague Women history by claiming a win over a Spanish team. At the end of the tables, two Russian clubs are yet to record a victory. Veuillez trouver des informations en français en bas de la page sur la troisième journée à l'Euroligue féminine. With all the teams from Group A having a rest this week, just six games were played in this round. In group C, Galatasaray put more pressure on Russian club side Sparta&K MR Vidnoje with a comfortable victory (63-50). The Turkish side ended the contest by the 18th minute with a 26-point lead (33-7). Alba Torrens finished with 17 points while Shavonte Zellous filled the stats sheet with 14 points, 6 rebounds and 5 assists. Kibirkstis-VICI pulled off the biggest surprise of the week with a convincing victory (81-64) against the 2011 EuroLeague Women champions Perfumerías Avenida. Belinda Snell regained her scoring touch with 16 points in CCC Polkowice's success against Novi Zagreb (62-53). Lattes-Montpellier kept their supporters happy with their first every victory against a Spanish club side in the EuroLeague Women (ELW). By beating Rivas Ecópolis (58-53), Montpellier join Fernerbahçe as the only teams unbeaten in Group B. Once again it was a total team effort with all nine players getting on the scoresheet. Rivas, without Frida Eldebrink (wrist injury), were kept in the match offensively by Laura Nicholls who scored 15 points. Queralt Casas (4 assists) and Rachal Allison (11 rebounds) followed up with 13 points each. Nadezhda Orenburg's off court problems that had led to the resignation of Algirdas Paulauskas did not help the team as they lost again. This time BK Imos Brno were the winners. Alena Hanusova was the leading scorer in the (76-67) victory with 23 points. Wisla Can-Pack fell at home again. This time they allowed Fenerbahçe to come away with all the points (69-73). 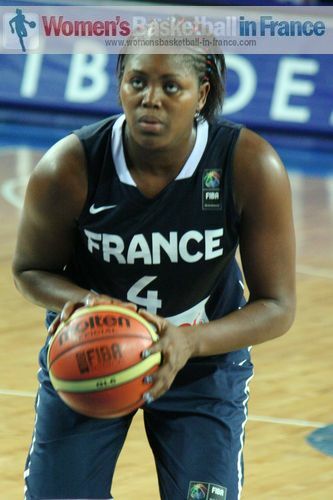 French international Isabelle Yacoubou-Dehoui finished with a double-double of 14 points and 12 rebounds for the winners. Les pertes des autres sont la joie des autres: les clubs participant de la Russie n'arrivent pas à sortir leur tête de l'eau. Sparta&K MR Vidnoje subit (50-63) après avoir trainé par 26 points après 18 minutes de jeu contre Galatasaray. Nadezhda Orenburg aussi tombe contre les jeunes de BK IMOS Brno (67-76). Lattes-Montpellier, jouant collectivement, récoltent leur deuxième victoire consécutive dans cette compétition, gagnant (58-53) contre Rivas Ecopólis. C'est une première en EuroLigue que Montpellier bat un club d'Espagne. Toutes les joueuses contribuent à ce succès, emmenées par Shameka Christon (15 points). Les espagnoles échouent dans leur quête d'une troisième victoire. Sans Frida Eldebrink et que trois joueuses dans l'image de Laura Nicholls, Queralt Casas et Rachal Allison marquent presque tous les points, elles n'arrivent pas à s'imposer. 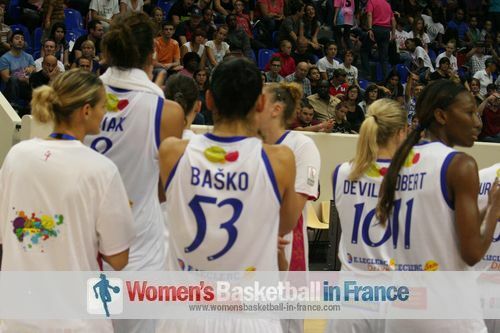 L'internationale française, Isabelle Yacoubou-Dehoui, aide Fenerbahçe à vaincre Wisla-Can Pack (73-69) avec 14 points et 12 rebonds. CCC Polkowice remporte leur première victoire gagnant (62-53) contre les Croates Novi Zagreb. Belinda Snell, ancienne joueuse de Bourges Basket, fait le plein avec 16 points. Kibirkstis-VICI surprend Perfumerías Avenida (81-64) qui perd pour la deuxième fois.